Most women are under the impression that pregnancy is a nine-month time frame dedicated to sacrificing your body in order to give new life. Of course it is true that, in the end, those nine months will certainly be worth the pain – but what if you could spend that time enjoying your life and embracing the experience of life within you, rather than wishing the time away? As the spine is stressed due to the changed posture, it becomes misaligned and causes the ligaments to be stretched, which leads to pain. While the uterus is expanding, it pulls on the ligaments, which is felt in the low back and the abdomen. 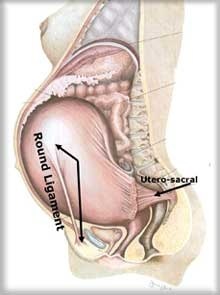 When the ligaments are being tugged, it tugs part of the uterus with it, which causes the uterus to be misshapen. This last situation is important to prevent because there is a baby living and growing inside the uterus. If there is not enough room for the baby to grow and move around, it can lead to a breech position and a complicated birth or a c-section. Chiropractic care is very effective during pregnancy, as the adjustments correct the actual cause of the pain. The Webster Technique is used by certified chiropractors to assess the pregnant woman’s spine, specifically the sacrum and the associated muscles and ligaments. Based on the findings from the assessment protocol, the proper adjustment is made. The effects following the adjustment include balancing the pelvis to relieve the mother’s pain and to restore the space that the baby needs to grow and turn. The American Pregnancy Association agrees that pregnant women who choose chiropractic care as part of their prenatal healthcare report a more enjoyable pregnancy with reduced pain, lower symptoms of nausea, an easier and faster delivery, and prevention of potential c-section. According to research, the Webster Technique has an 82% success rate in allowing the baby to turn into the vertex (head down) position, which is preferred for a natural birth. In one study, out of 112 breech presentations, 102 resulted in the baby successfully turning when the Webster Technique was used. Chiropractic care is safe, beneficial, and comfortable for both the mother and baby. Besides the benefit of relieving pain, chiropractic care is essential during pregnancy, as your body is busy creating and nurturing a new life. Creating balance throughout your body and ensuring that your own body is functioning at its optimal level is the best thing you can do for your baby. These two ligaments are common sources of pain during pregnancy.